The Northeast has experienced higher than average snowfall for January. The weather is expected to continue to heat up as we move into February but snow is still a possibility. According to WeatherSpark.com RI is still in the prime time to receive additional snowfall compared to past reports. This time of year can be difficult to plan for essential travel and long distance trips. According to The Department of Transportation reports, 22% of the 6 million car accidents that occur each year are caused by weather conditions. January is usually the coldest month for much of the United States, where most states will experience most of their average snowfall. Providence, RI has an average of 34 inches of snow, the average U.S. city sees 26 inches. Providence has experienced a handful of winter storms in the past couple of weeks and could see more in the next few weeks. Weather can only be predicted to far in advanced and even that can change at the last moment. 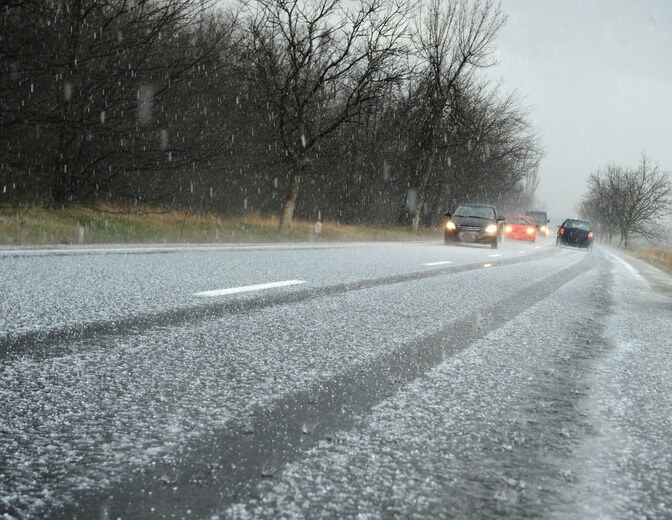 Conditions that make us uncomfortable, such as feeling cold and wet, can make us more distracted while driving. Cold weather can lead to foggy windows during your upcoming travels. Roads are the most hazerdous obstacle because black ice or invisible ice leads to thousands of car accidents each winter. If visibility is less than 100 feet you should stop your vehicle and wait for clearer conditions. Proper maintenance can help to avoid accidents and future injury. Tires are the first line of defense between your vehicle and icy/wet road conditions. Regular tire maintenance should include regular tire pressure checks, checking tread depth once a month and investing in winter tires. Cold resistant tires keep the rubber flexible on the roads which mean more traction on snow or slushy conditions. Evaluating weather conditions for vehicle travel is essential to preventing accidents, prolonging your car’s life and being safer. Legal Representation – Call Now!